Mesh Banners are very strong and durable. They are made with vinyl coated polyester and allow more air flow for less wind resistance, making them more resistant to tearing and fraying. Edge binging on the top and bottom makes these banners stronger than standard vinyl banners. Tear resistant with 12” x 2” tall letters. 12.5’ weatherproof polypropylene ropes sewn down the length of the sign. In transport, an oversize load or overweight load is a load that exceeds the standard legal size and/or weight limits for a specified portion of road, highway or other transport infrastructure. 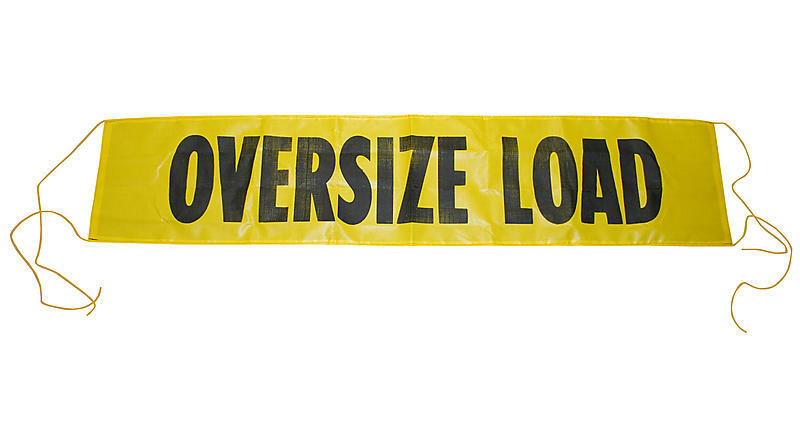 Oversize and overweight loads include construction machines, pre-built homes, containers, and construction elements.